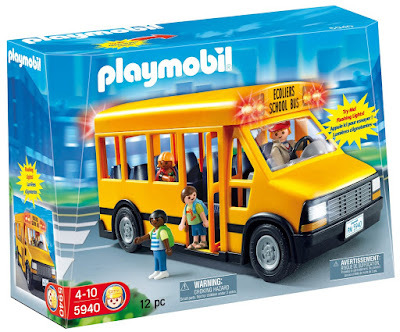 Review of PLAYMOBIL Bus and Schoolhouse! 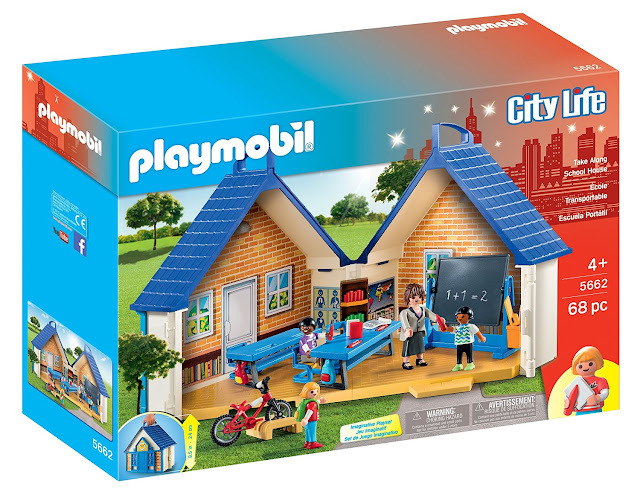 PLAYMOBIL is the largest toy manufacturer in Germany, and their products are adorable! I was thrilled to be able to have them send me a couple of school-themed toys to review. The favorite of the two was the School Bus, and my kids were very excited to spend hours playing with it. Note that this toys is for kids 4 and up, as there are some small pieces. What was the most engaging feature of the bus? It would have to be the lights! 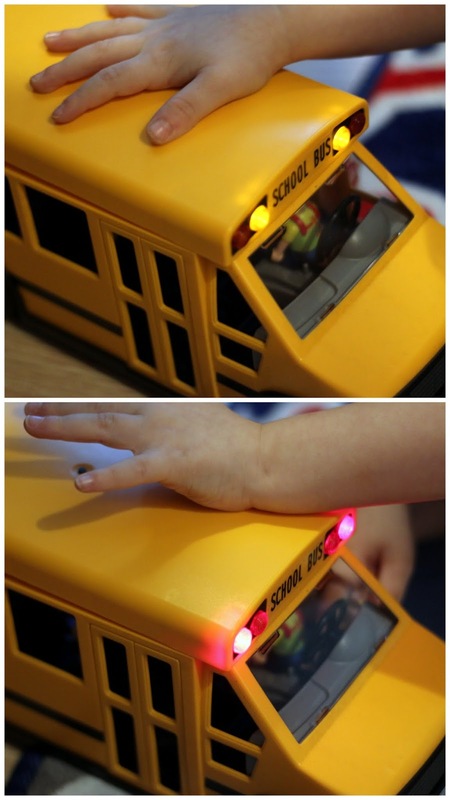 The bus lights come on and change color when the roof is put on or pressed down. Since the roof comes off, it's easy to place the included people in the seats. Getting them to bend their legs like real people was a challenge for my younger one, but he soon figured out how to get everyone safely in place. For a couple of homeschooled kids who have never ridden a bus, this was a real treat to play with! Batteries are included, too! We also enjoyed the very large Take Along School House Play Set. This toy folded up for easy storage and carrying around the house. I have to admit that it wasn't an hour or two after we got it that my kids were leaving the pieces everywhere. It comes with a lot of stuff! This is also designed for kids 4 and up, although I recommend leaving it to kids 6 and up if they had a hard time keeping track of things. It comes with 68 total pieces, and some are very, very small. Things like the bike, chalkboard (which really works and comes with a tiny eraser), backpack, pencils, and books give kids lots of options for realistic role play of their school day! Again, my kids are fascinated with the workings of school -- they have been homeschooled all their lives and love acting out school days! Both items (priced at below $40 each) would make great gifts, and purchased together, you can allow kids to recreate all kinds of stories. PLAYMOBIL toys are available pretty much anywhere toys are sold!